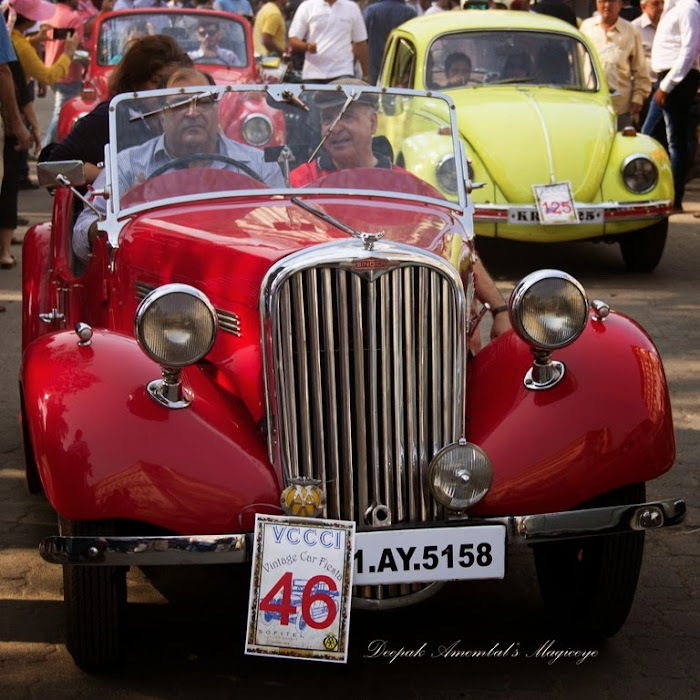 A bright red Singer 9 Roadster from the 1950s at the VCCCI Vintage car rally in Mumbai. 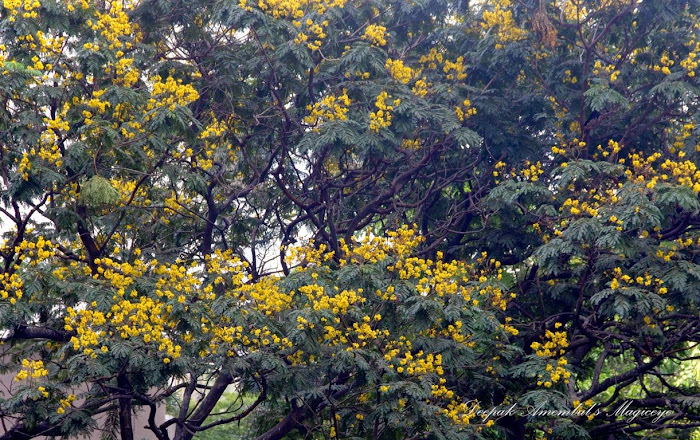 Copper pods, Rusty shield bearers or Peltophorum as these blooms are variously known brighten up the Mumbai summer by carpeting the road with a coat of yellow and providing shade to passers by. 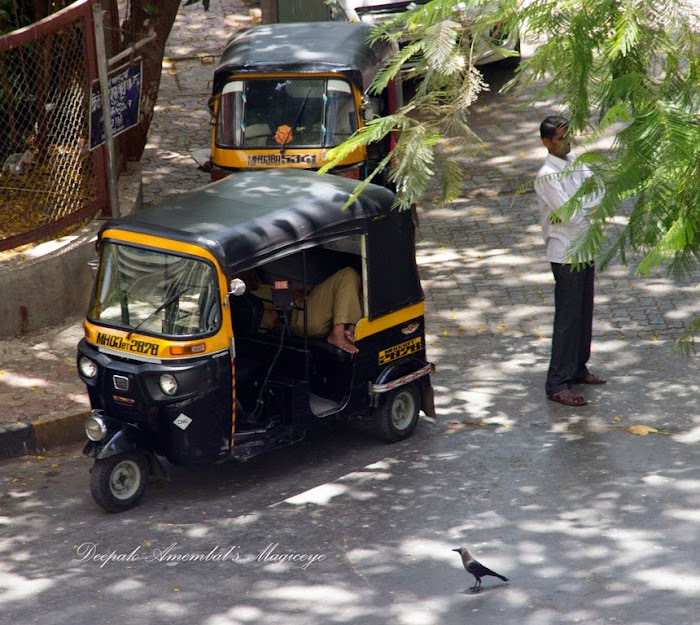 Autorickshaw driver catching 40 winks in the summer heat of Mumbai in Bandra east. 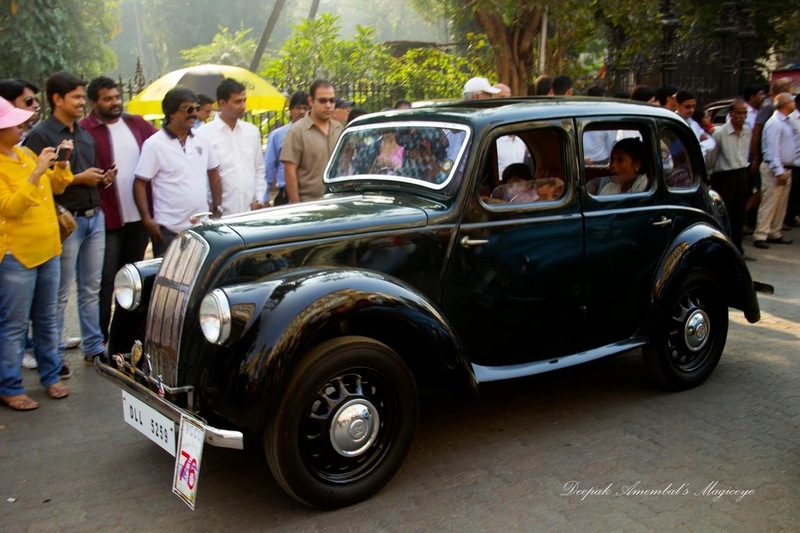 A classic at the VCCCI Vintage car rally in Mumbai. 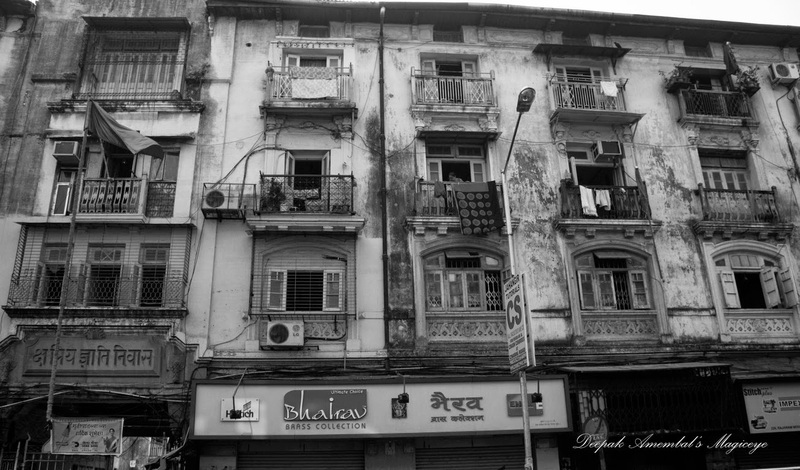 A chawl (from Marathi चाळ, chāḷ) is a name for a type of building found in Mumbai. 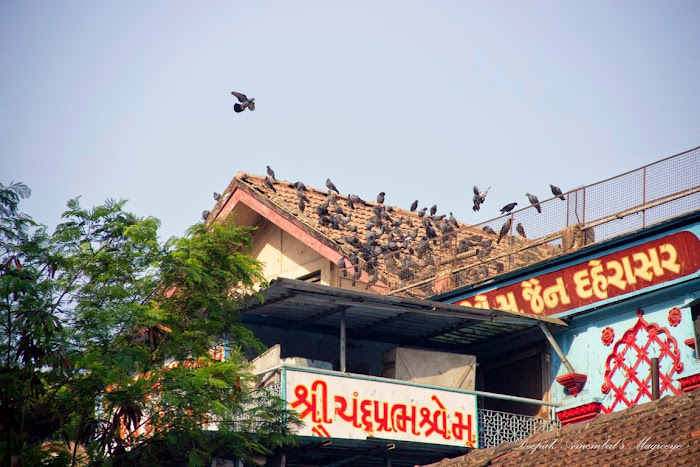 They are often multistoried with about 10 to 20 tenements, referred to as kholis, which literally mean 'rooms' on each floor. 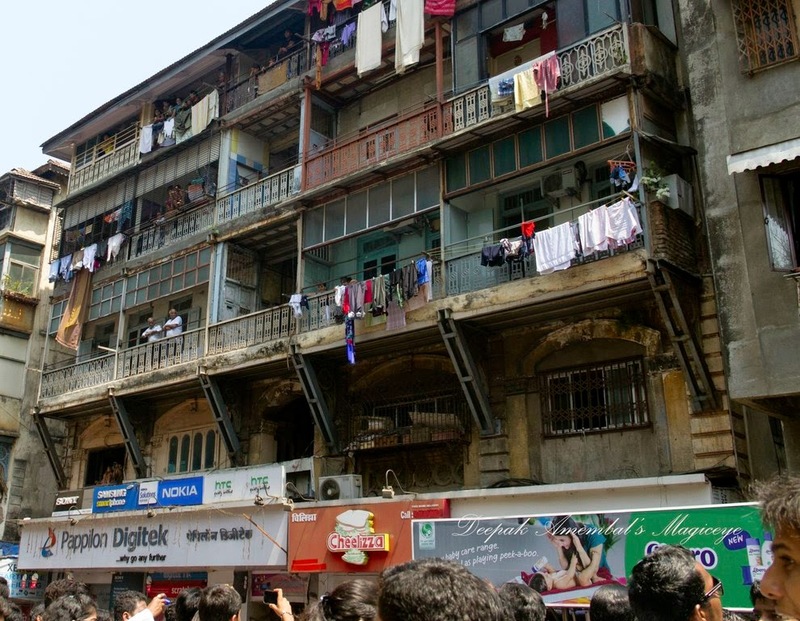 Many chawls can be found in Mumbai where they were constructed in abundance in the early 1900s to house the people migrating to Mumbai because of its booming cotton mills and overall strong economy.A chawl (from Marathi चाळ, chāḷ) is a name for a type of building found in Mumbai. They are often multistoried with about 10 to 20 tenements, referred to as kholis, which literally mean 'rooms' on each floor. 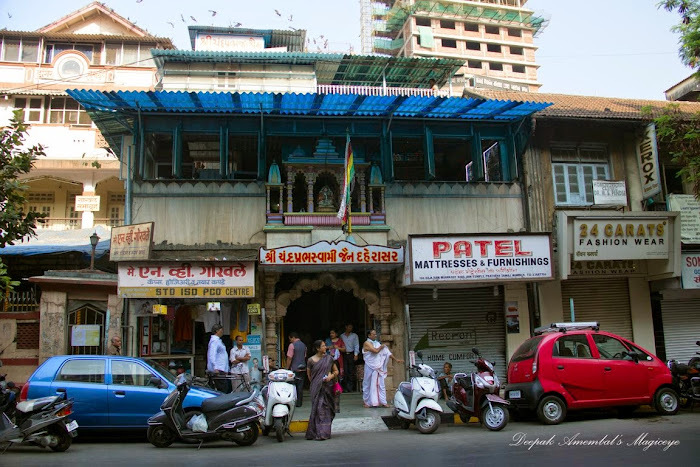 Many chawls can be found in Mumbai where they were constructed in abundance in the early 1900s to house the people migrating to Mumbai because of its booming cotton mills and overall strong economy. 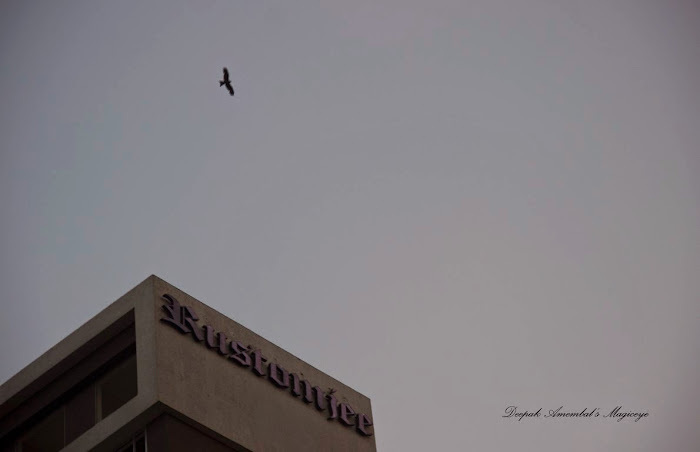 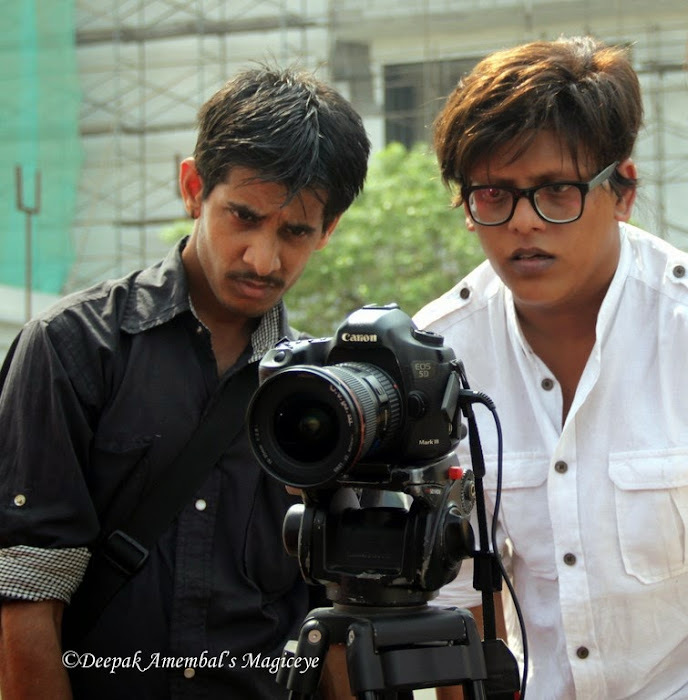 Photographers at a photo shoot in Bandra Kurla Complex. 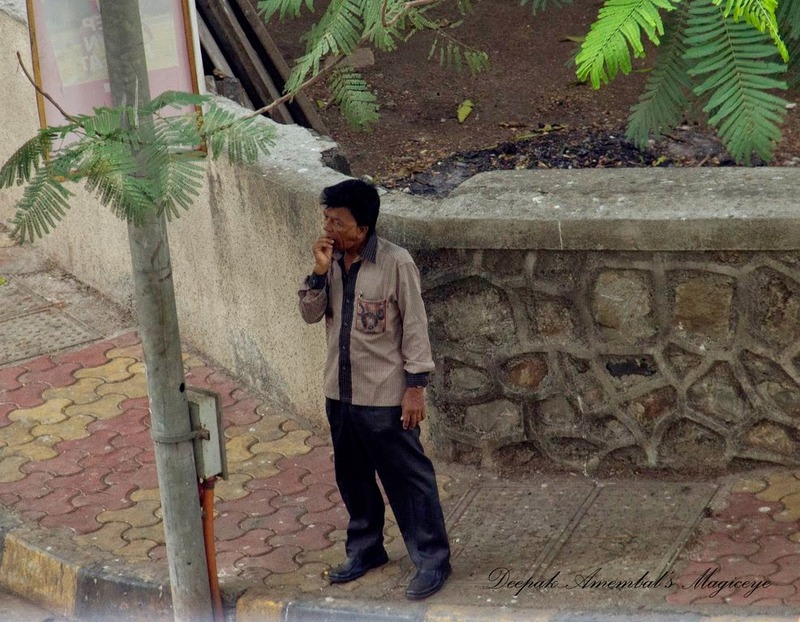 Youth awaiting their turn at a game on MMRDA grounds in Bandra Kurla Complex. 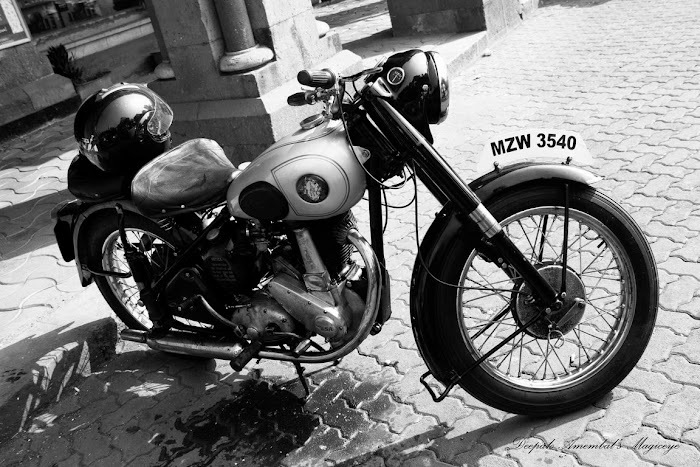 Spotted at Horniman Circle, Mumbai. 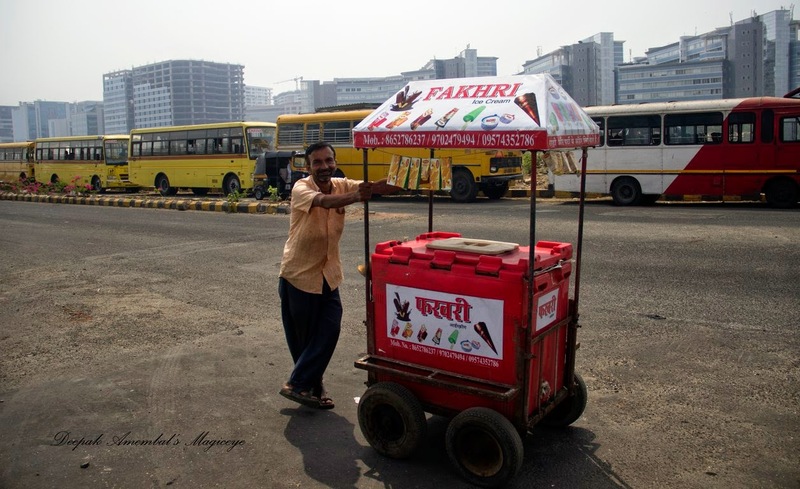 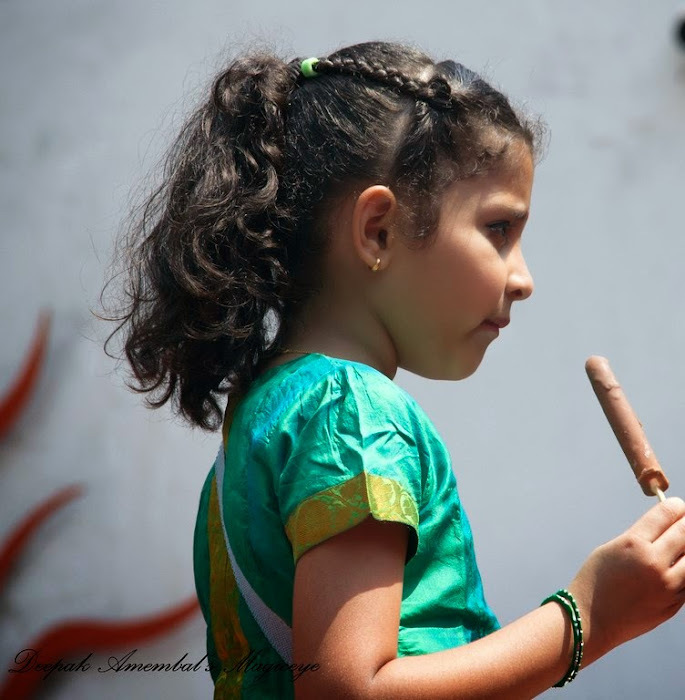 Ice cream vendor at MMRDA grounds in Bandra Kurla Complex. 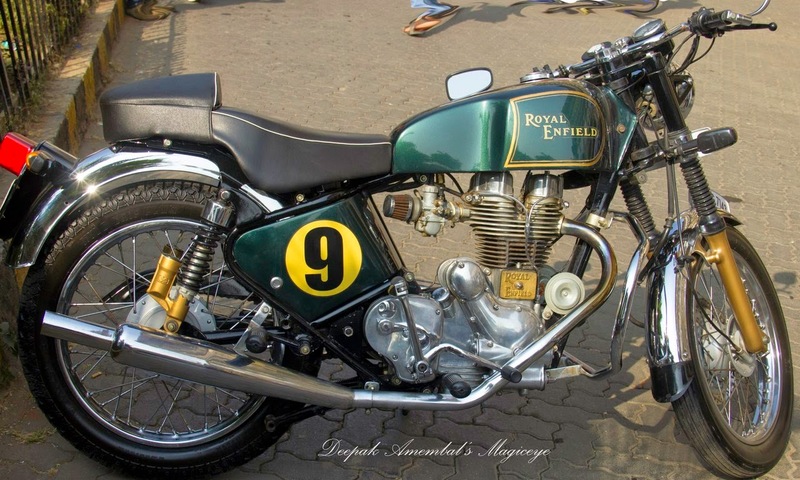 BSA of 1954 vintage at the VCCCI Vintage car rally in Mumbai. 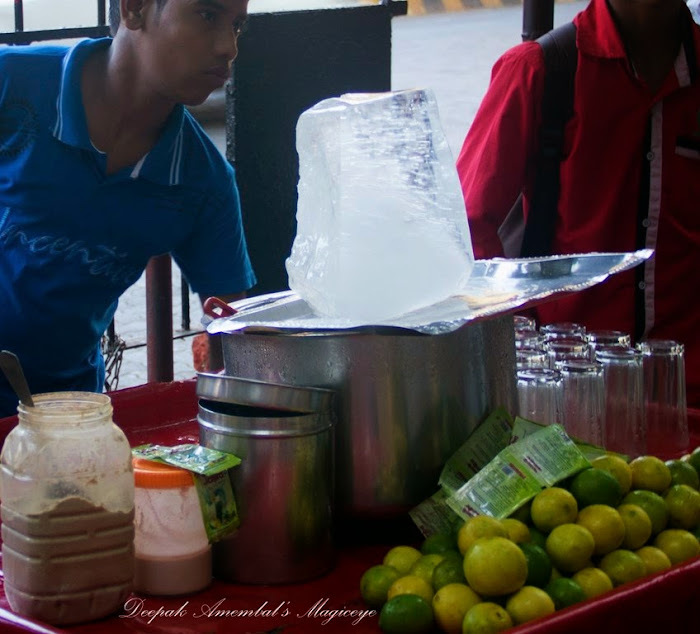 Ingredients for fresh lemon juice on a hot summer day in Mumbai. 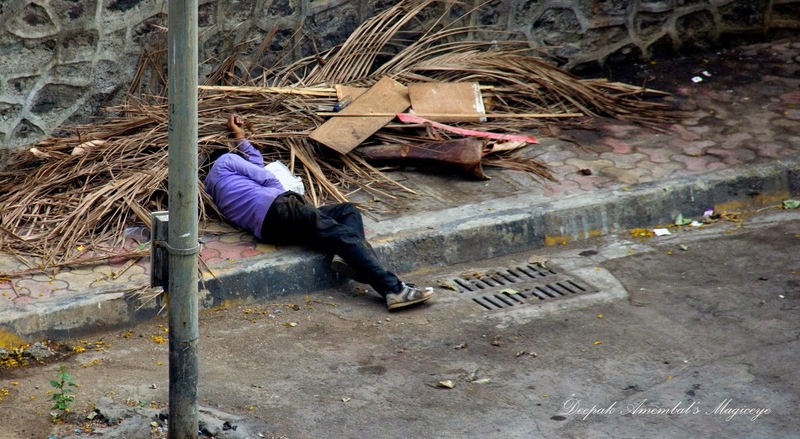 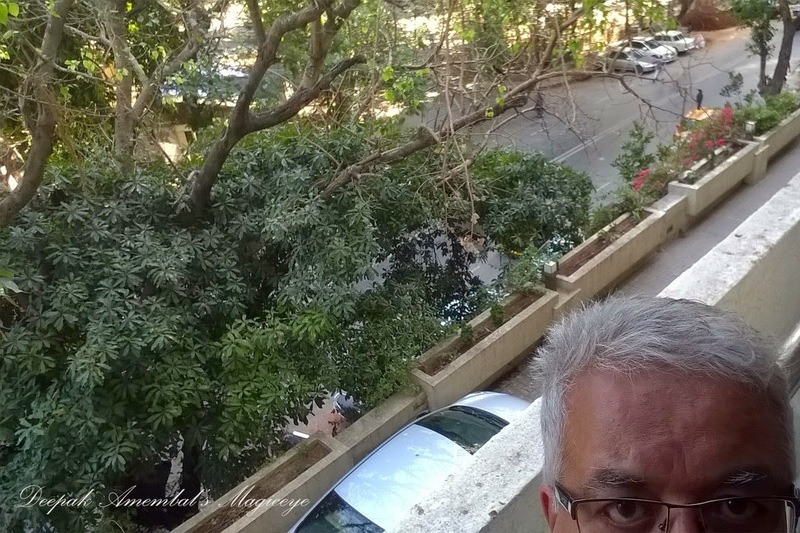 Down in the dumps in Bandra east. 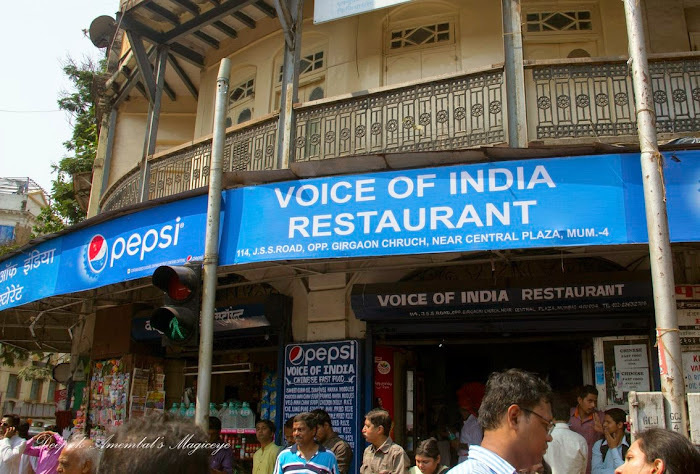 Love the name of this restaurant in Girgaum. 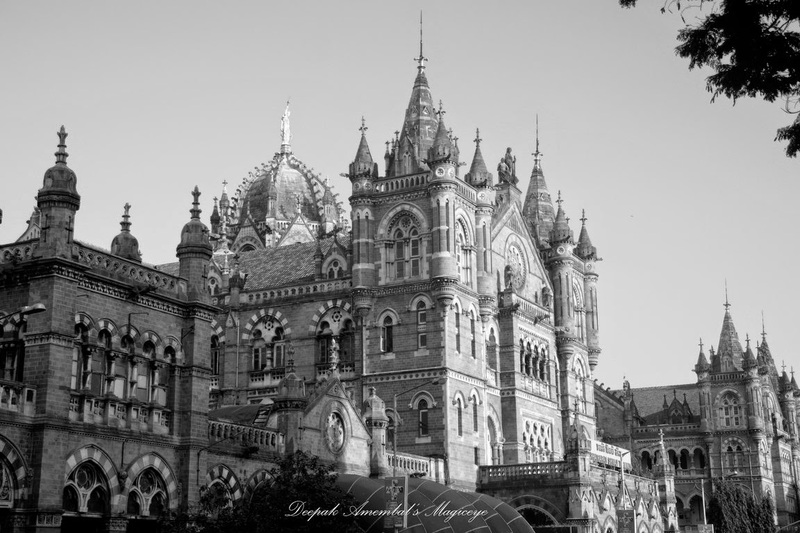 The Chhatrapati Shivaji Railway Terminus in Mumbai is a UNESCO World Heritage site. 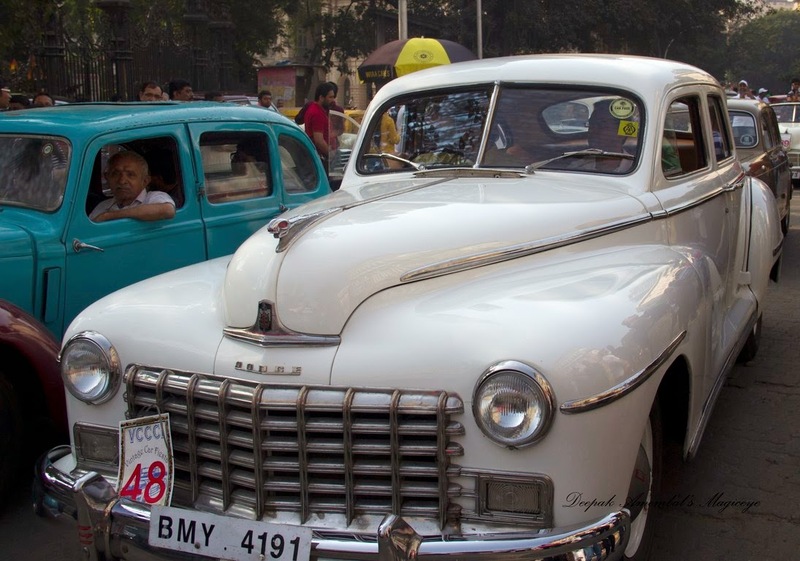 A 1947/48 Dodge at the VCCCI Vintage car rally in Mumbai. 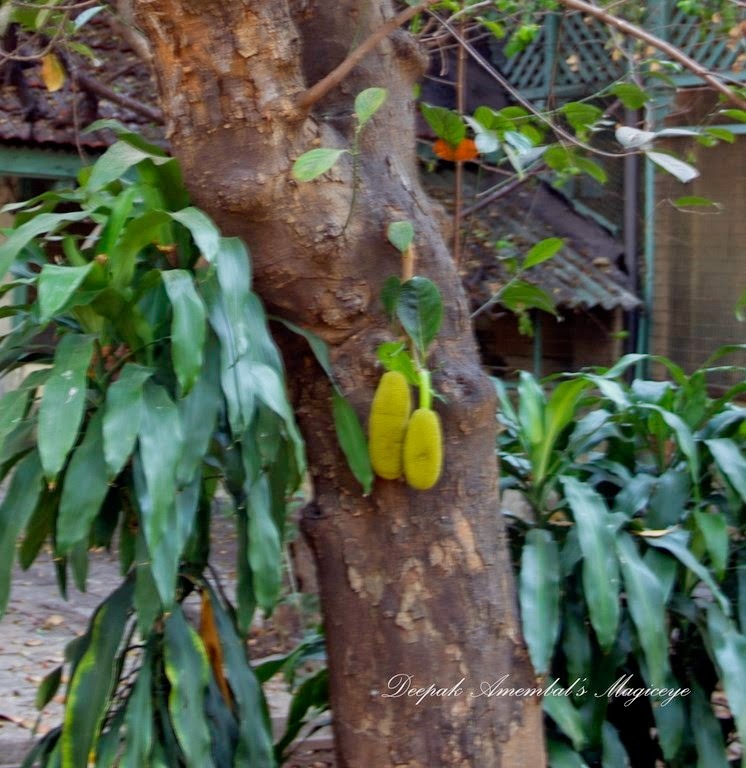 Jackfruit twins in the Sir JJ School of Art campus. 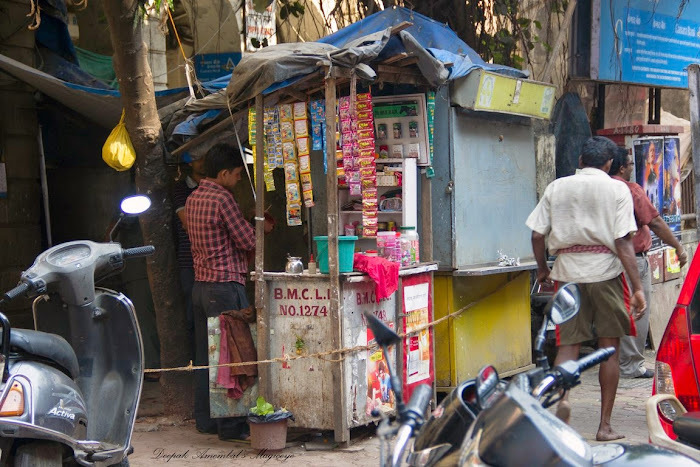 The local panwallah vending betel nut leaf, betel nut, chewing tobacco and cigarettes. A street in Bandra east. 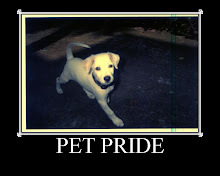 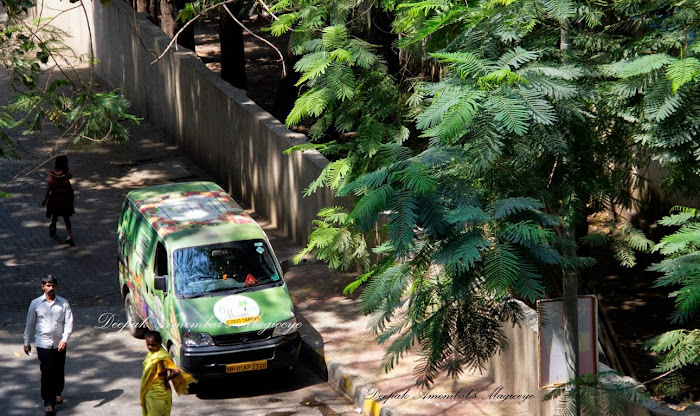 Go green Mumbai! An old building in Girgaum. 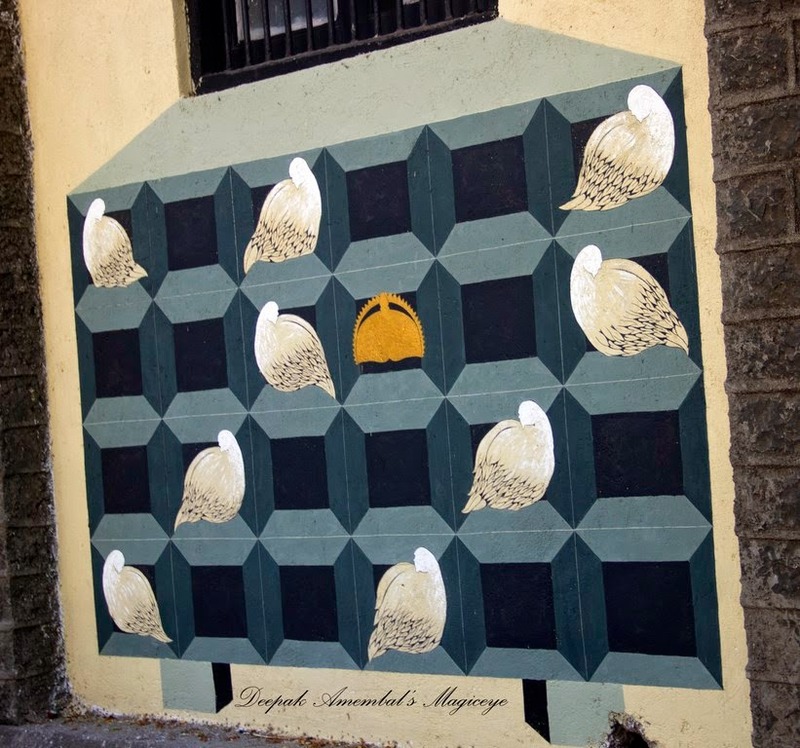 A painting on the wall of Sir JJ School of Art in Mumbai. 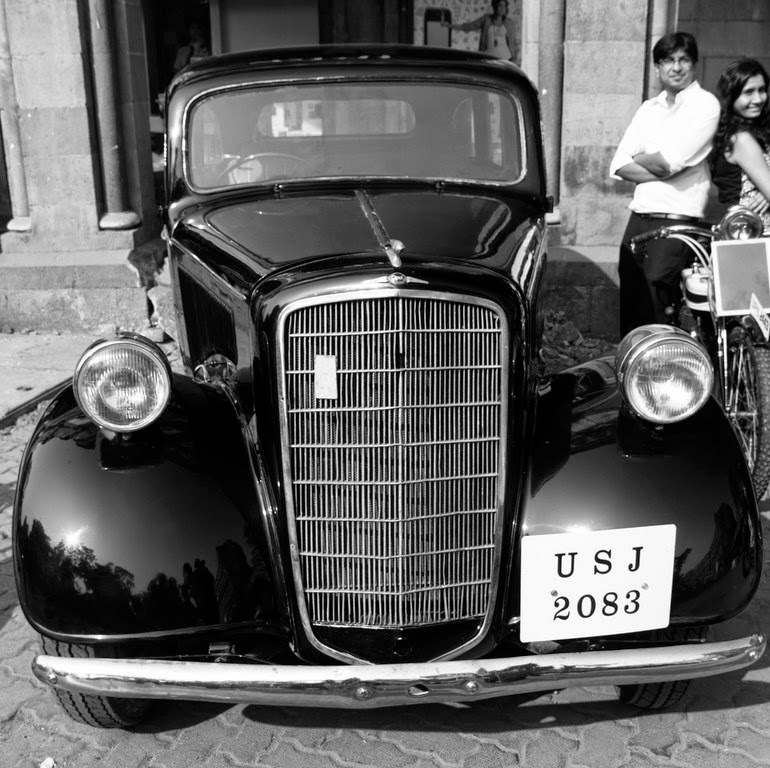 At the VCCCI Vintage car rally in Mumbai. Love the expression on the passenger seated in the rear seat. 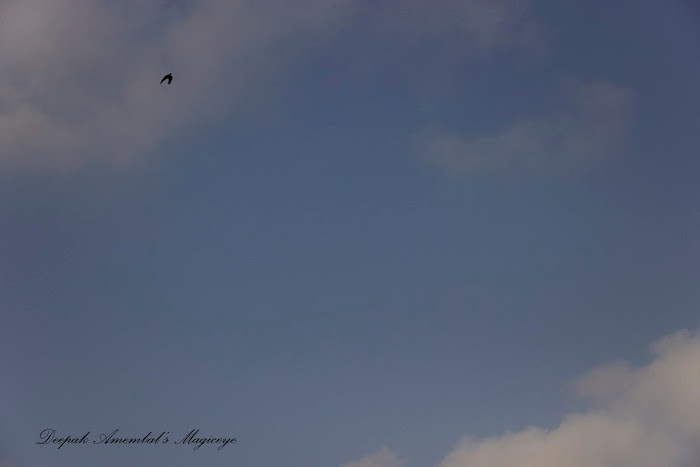 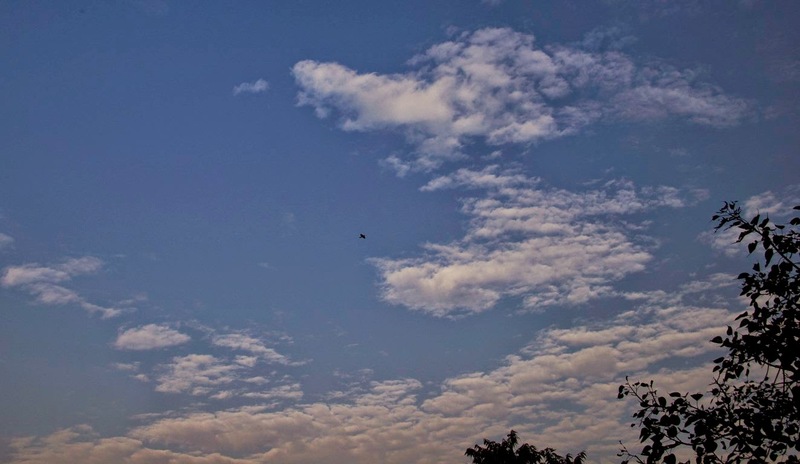 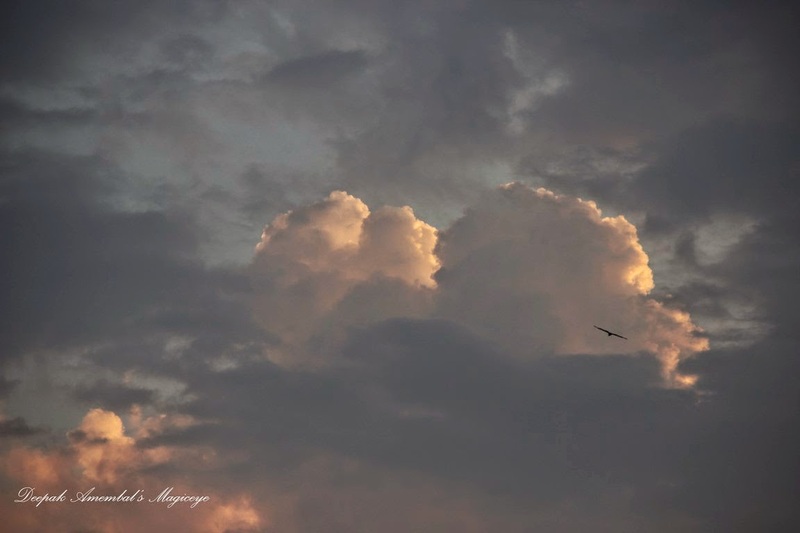 A lovely blue sky of Mumbai. A Jain Derasar (temple) in Girgaum.